So, I actually prefer vanilla flavors over chocolate, but it seems like chocolate usually dominates, and it is also admittedly tricky to find really great vanilla flavors that don’t rely heavily on processed-typed additives. 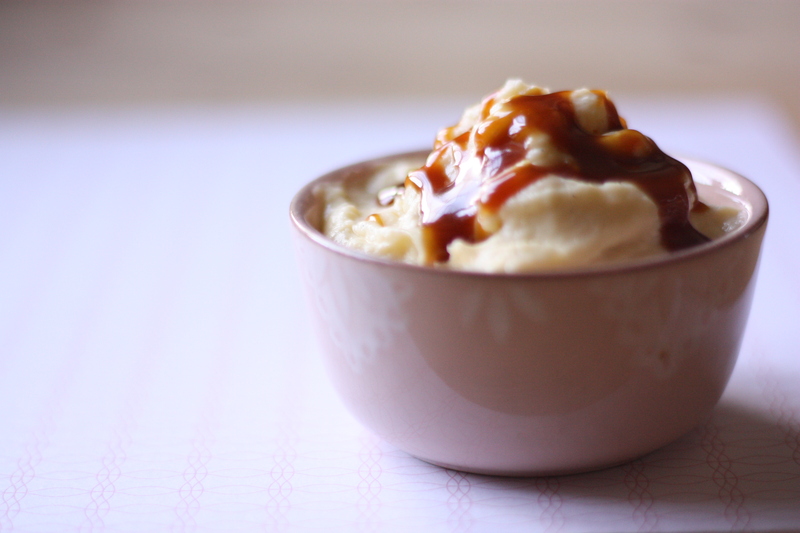 So, I actually haven’t ever found a vanilla pudding that I loved, even though I have many chocolate or butterscotch recipes that are terrific. Needless to say, I was thrilled to try and love this recipe from a sweet Chronicle cookbook called Puddin’ by Clio Goodman, based on a cafe of sorts (i’m guessing) in NYC. 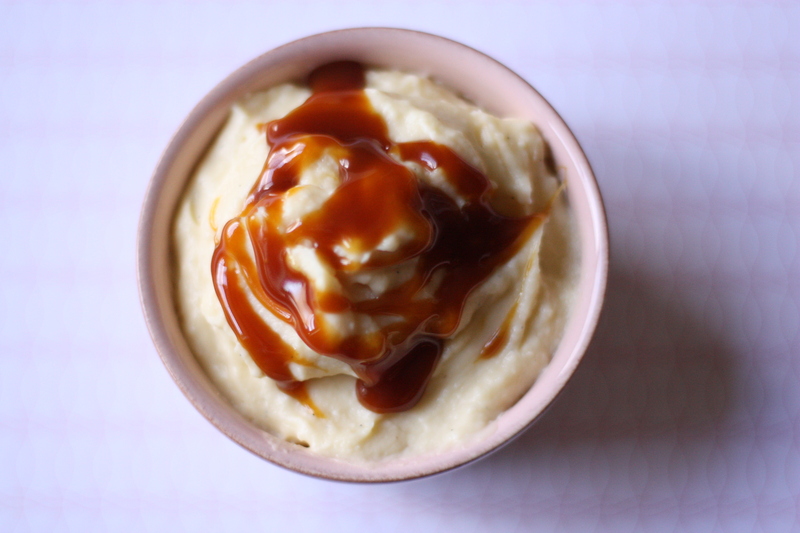 This is a great recipe, and yes, we did put salted caramel sauce on top of it! Add sugar, cornstarch, egg yolks, and salt to saucepan and whisk vigorously. Strain the pudding through a fine-mesh sieve into a bowl, pressing pudding through sieve with a silicone spatula. Whisk in vanilla extract. Cool at room temperature for 10 minutes, press a layer of plastic wrap onto the surface of the pudding, and chill completely in fridge, 2 hours. this sounds just what i ‘d been wishing for. thank you for this treat! Oh good! So nice to hear!